The Fort Pitt Scavenger Hunt is fun and engaging for children and adults! Search high and low throughout the exhibits for the listed images. If you find everything, a prize is waiting for you. Be sure to check your findings at the front desk after you’re finished. Pick up a scavenger hunt at the Fort Pitt Museum front desk on your way in or download your own. 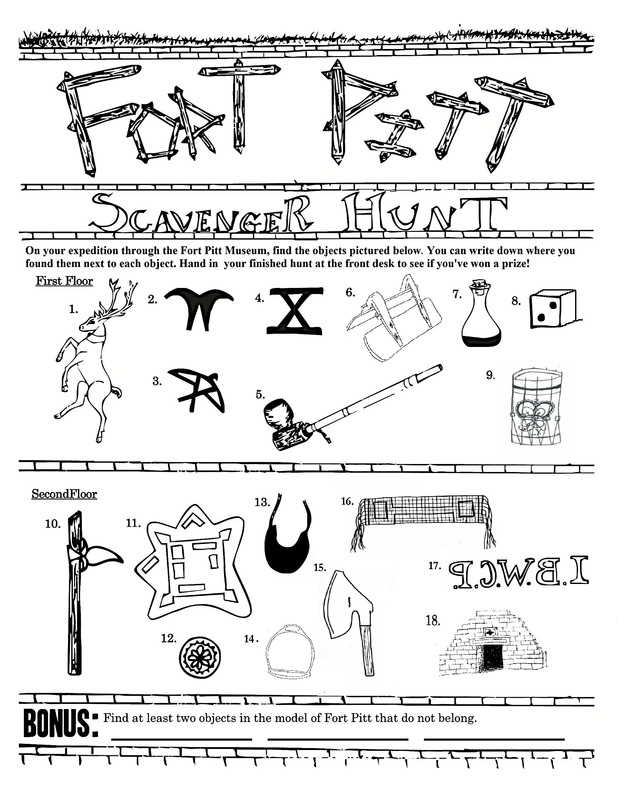 Download the scavenger hunt to bring with you when you visit the Fort Pitt Museum.